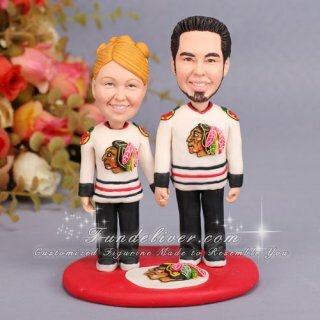 This is a completely customized hockey theme NHL Chicago Blackhawks wedding cake topper ordered by one of our customers. 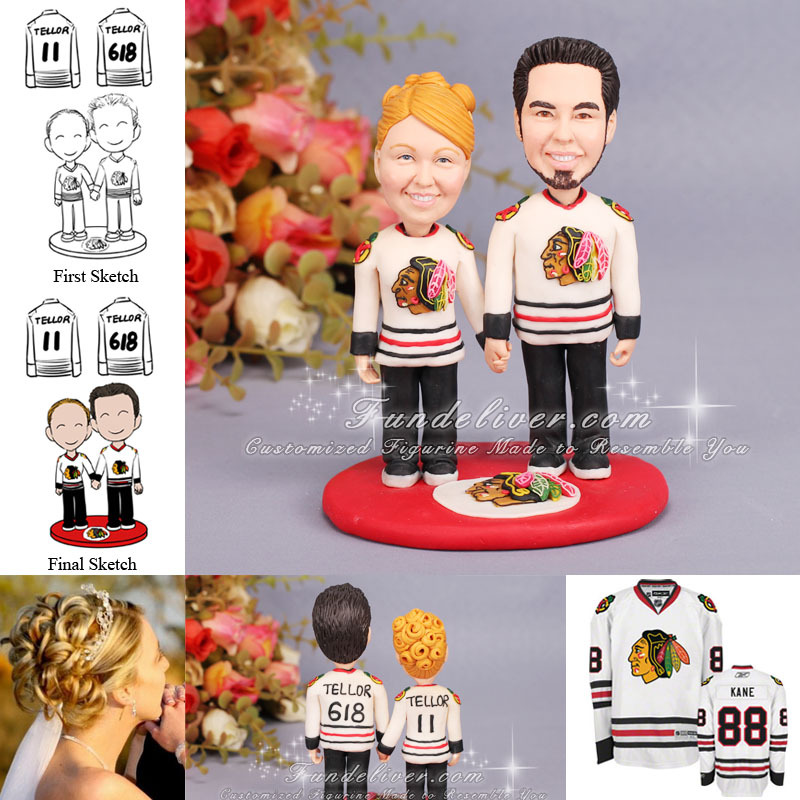 They would like groom and bride figurine to be wearing the white Blackhawks jerseys standing side by side holding hands. The groom is smiling with his hair spiked with black pants and tennis shoes, standing on the right. The bride is smiling with hair pulled back with black pants and tennis shoes standing on the left. They would like the back of bride’s jersey to say TELLOR with the number 11, the back of groom’s jersey to say TELLOR with the number 618. So when spin the figurine around the numbers will read 61811. For the base, they love a red base with Chicago Blackhawks logo on. Looking for a personalized Chicago Blackhawks cake topper? This will be the perfect one and it will truly be the talk of your ceremony, reception or party, and a memorable keepsake for years.